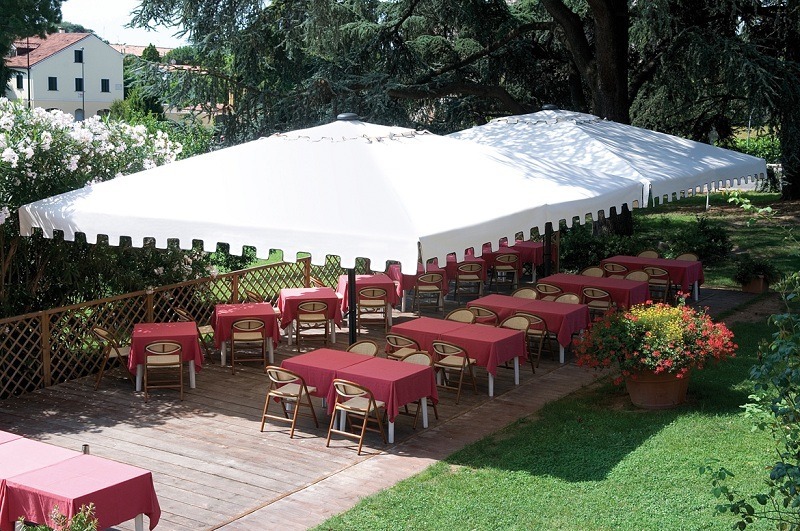 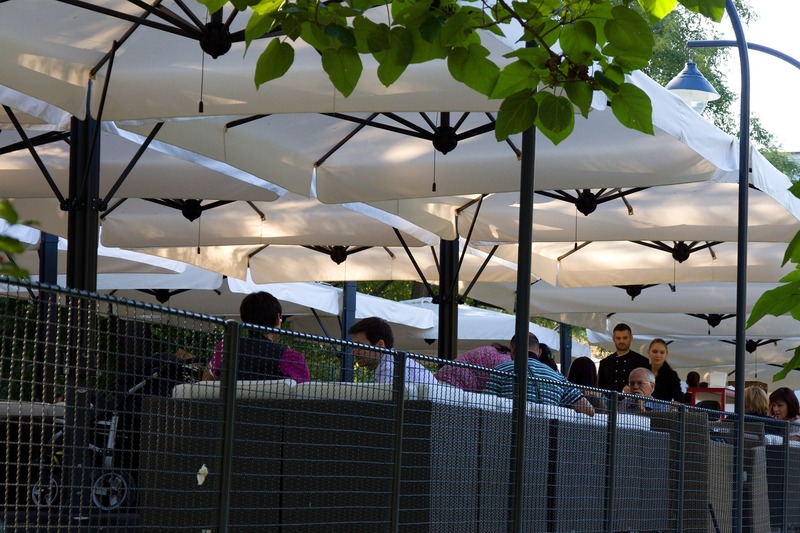 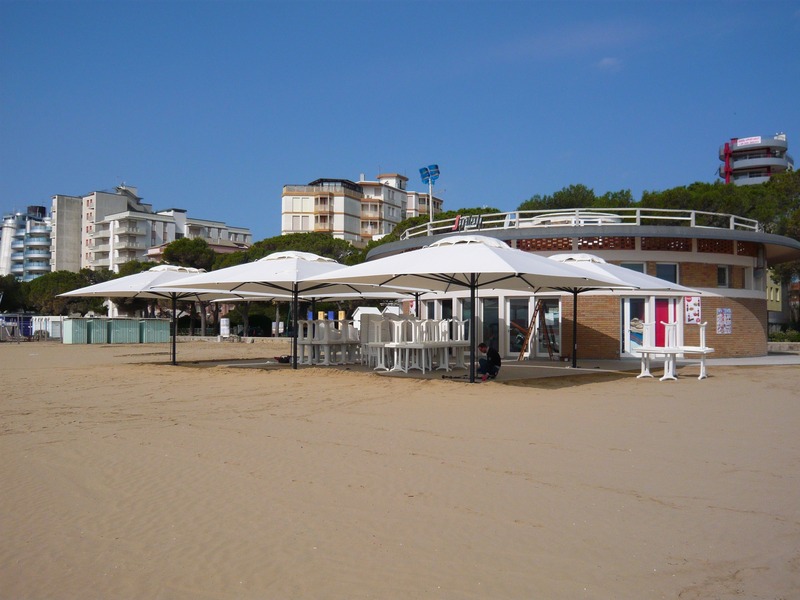 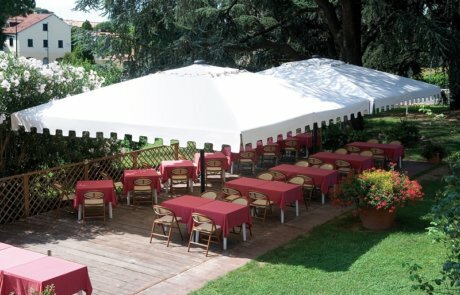 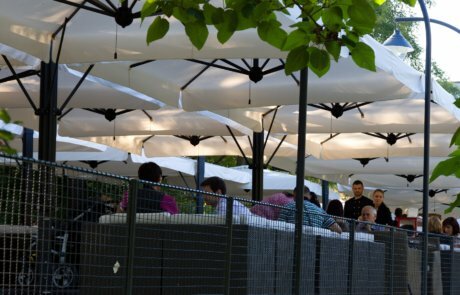 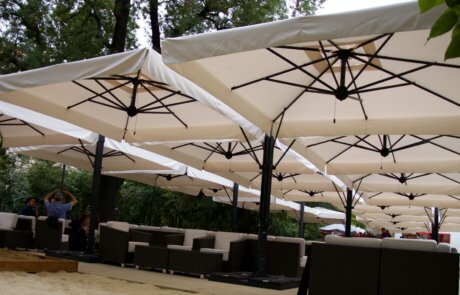 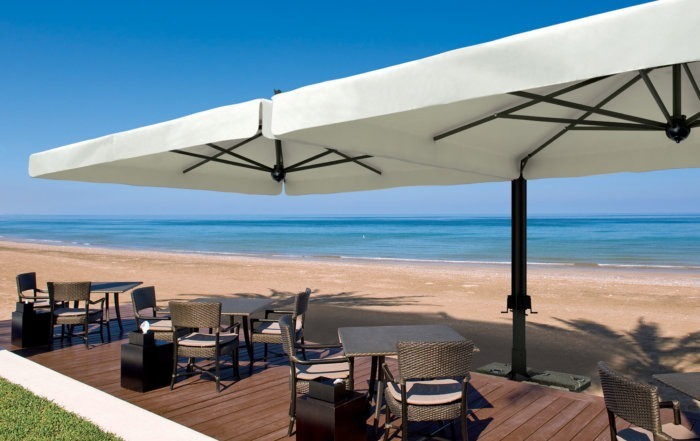 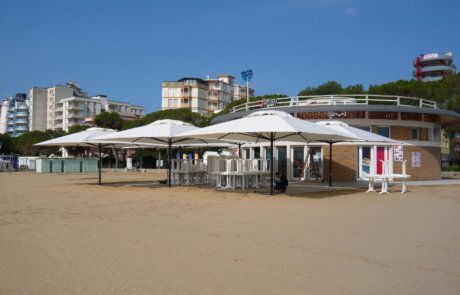 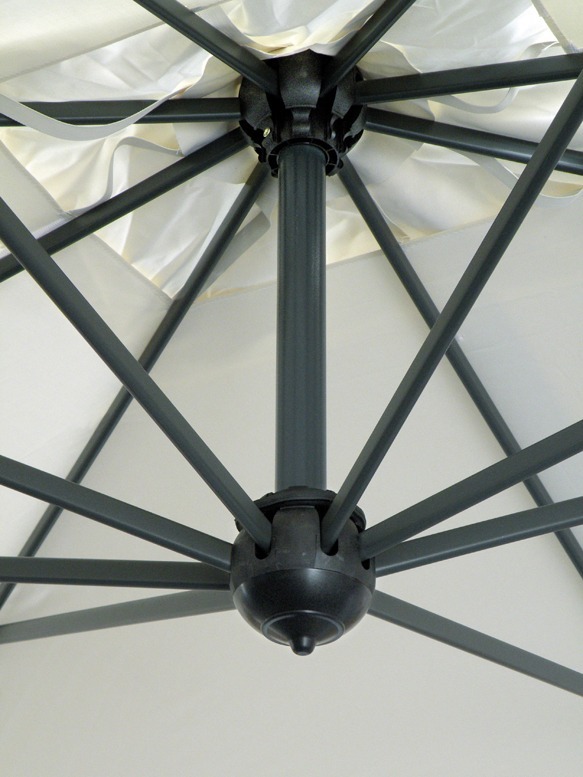 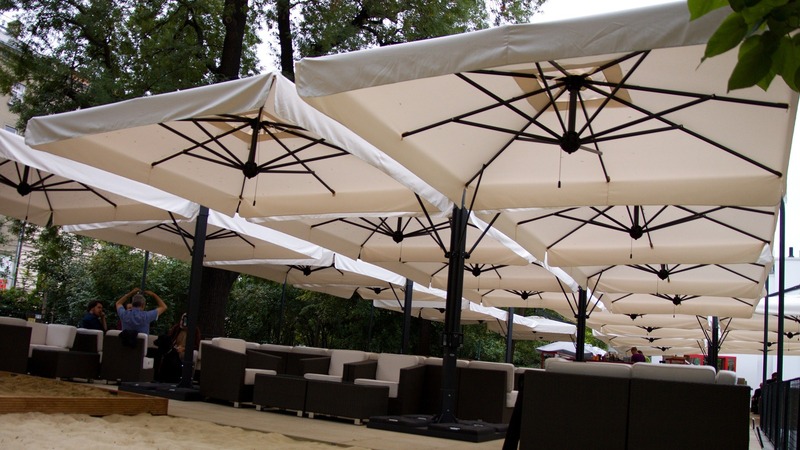 Parasol consisting of 2 (double) or 4 (Poker) covers anchored to one support. 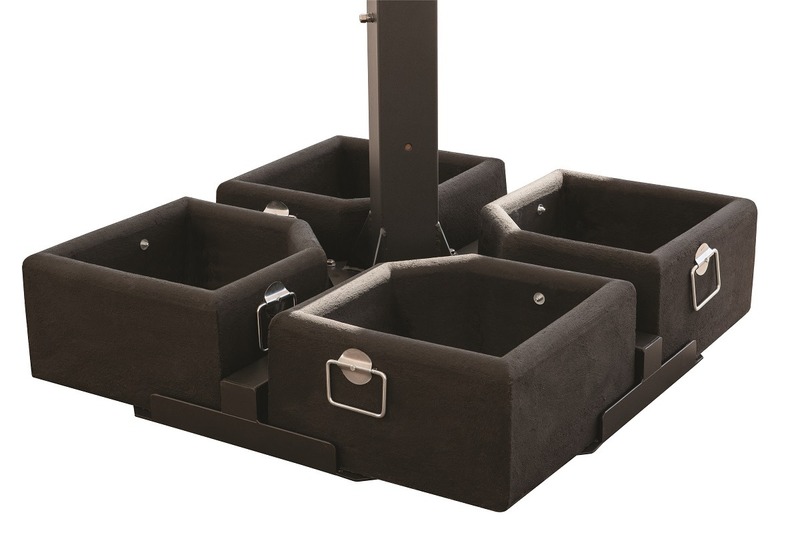 Elegant piece of design with a particular attention to details and finishing. 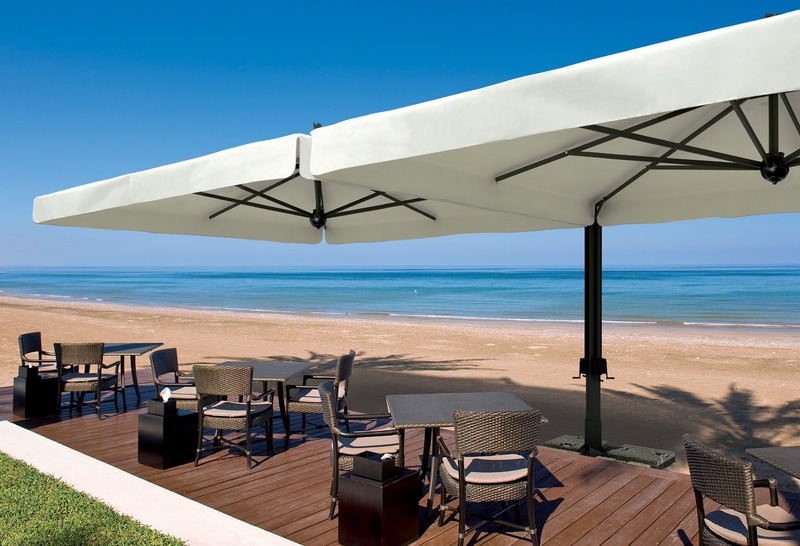 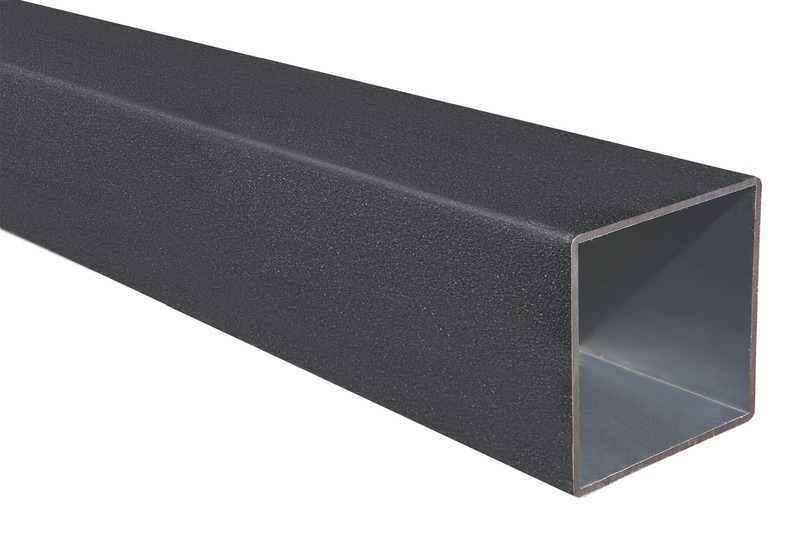 Article innovative and suitable for professional use, it is equipped with a robust aluminum anthracite gray frame, developed to cover large surfaces. 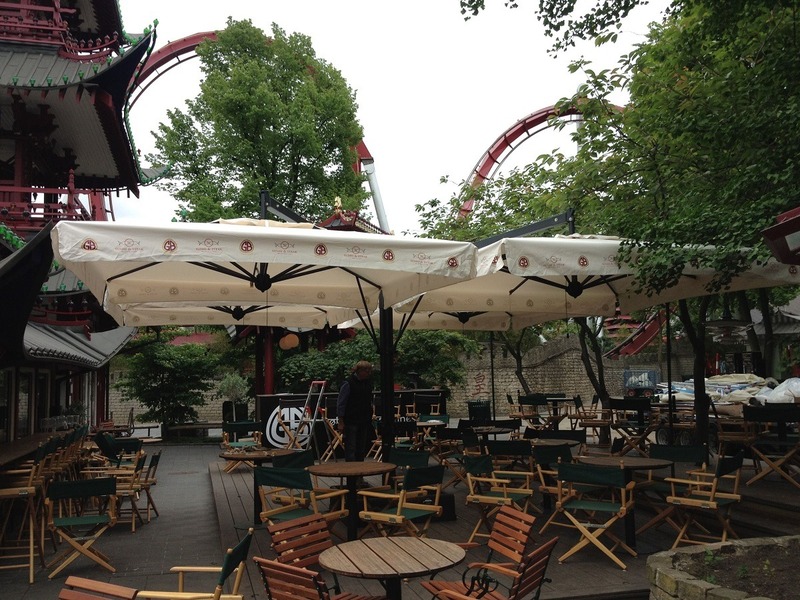 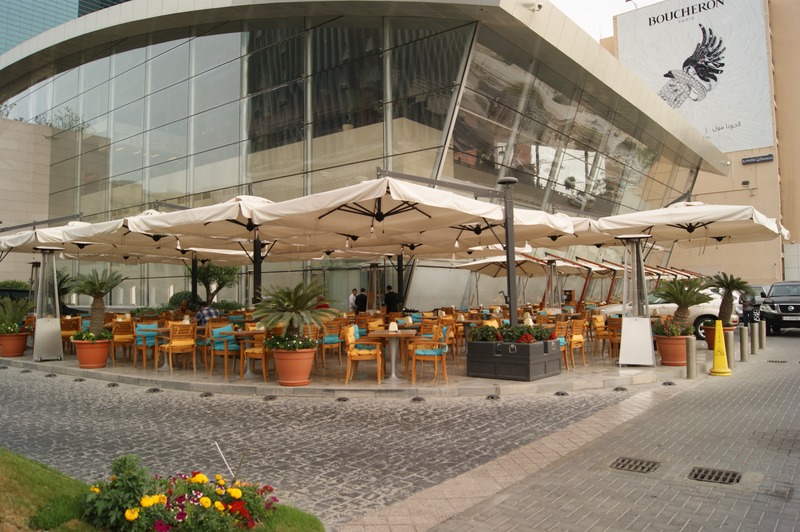 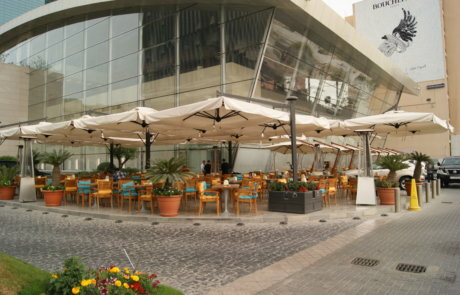 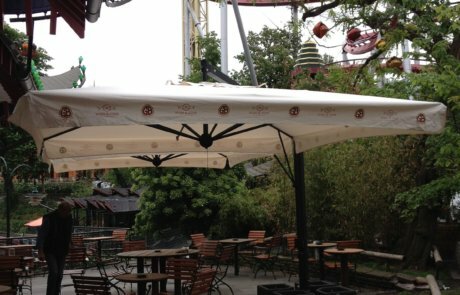 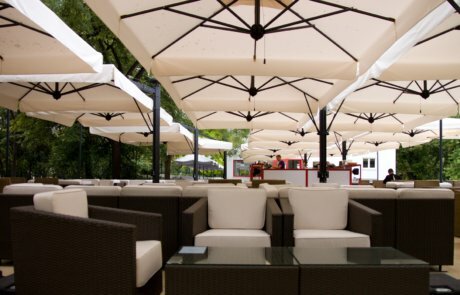 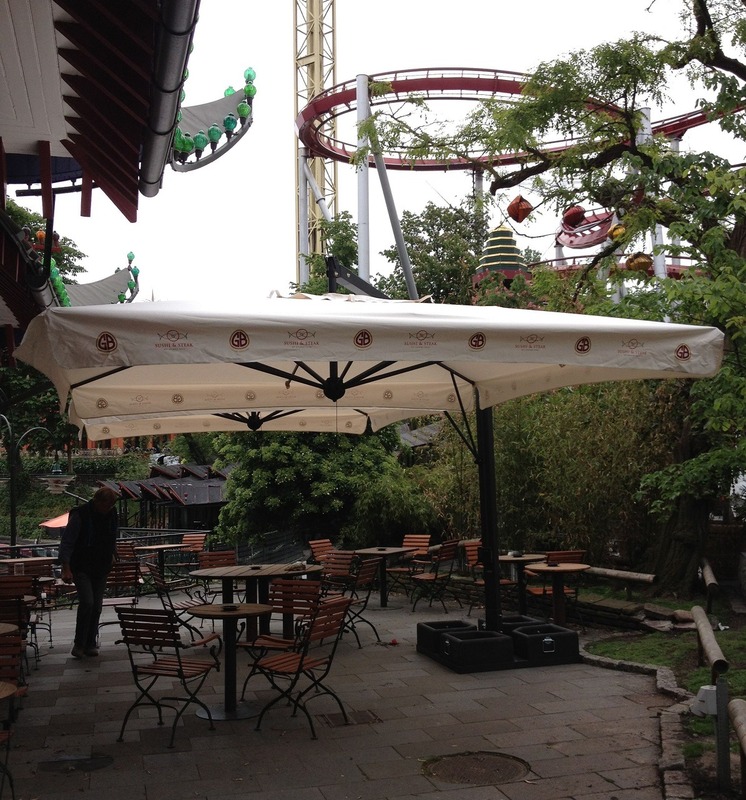 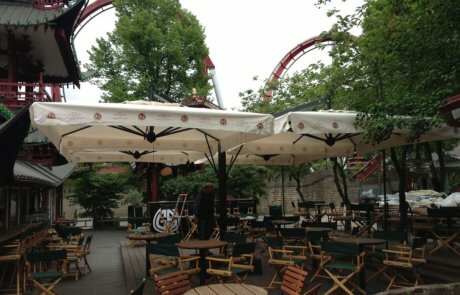 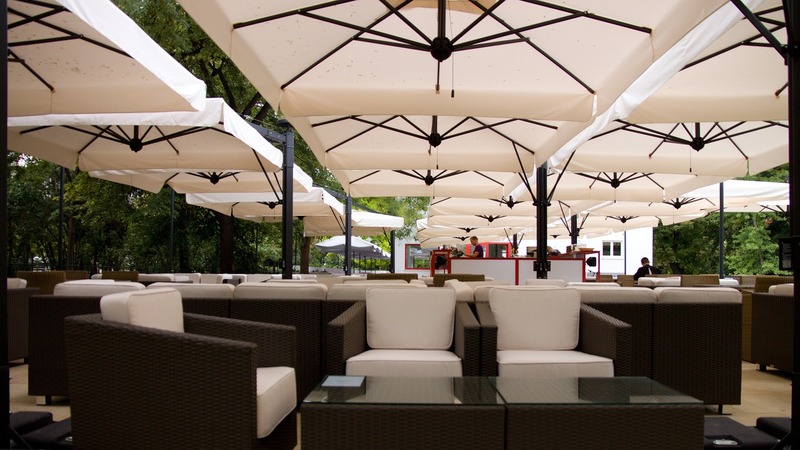 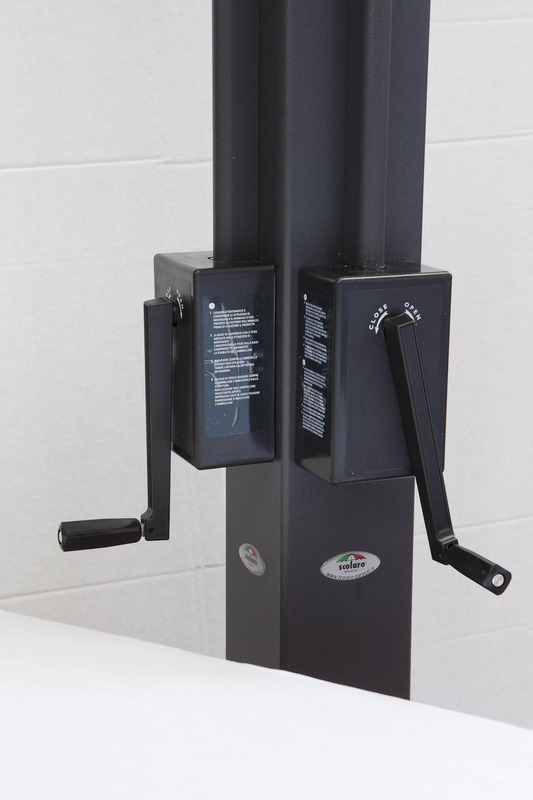 Object suitable for outdoor furnishing of bars and restaurants.